Goodman and her husband, also a Montreal native, moved from Ontario to Israel in 1994 to be near their two daughters. She now lives in the national religious community of Ma'aglim, near Netivot and located less than three miles from Gaza, as the crow – or Kassam – flies. She told Arutz Sheva she wants action and not another “photo-op” of Prime Minister Netanyahu, similar to that published Sunday when he visited southern Israel. “I already know what he looks like,” Goodman said. “We, the residents are being held hostage by the Kassam and Grad missile barrage that is presently being carried out by the Palestinian terrorists who live in Gaza,” she wrote. “As a tax paying Israeli citizen, Mr. Prime Minister, I would like to know what you and your government are doing to put a stop to this terror for once and for all. “We have had enough lip service from you…time for real action. We have the best army in the world. Our chayalim and chayalot [soldiers] are very dedicated young men and women. [It is] time to show the Arabs what dedicated chayalim who love our country can do. “No one likes or wants war but sometimes this is the only answer. To the Palestinians, dialogue is considered as weakness; they only understand brute force. “You must order Barak to give the order to the IDF to clean up Gaza and not leave until the job is totally finished. If Barak refuses to send in the troops, fire him! You are the prime minister and not him. The buck stops at your desk. “Let me tell you what it is like to live in the south…we are always waiting for the other shoe to drop…. seven of my grandchildren, who also live in Ma’agalim, have known so much terror in their young lives. “I couldn’t care less what Obama, Clinton, the U.N. or any other world leader has to say and you shouldn’t either. It is your job to keep us safe. The 'Pals' [Palestinian Authority] don’t want peace. 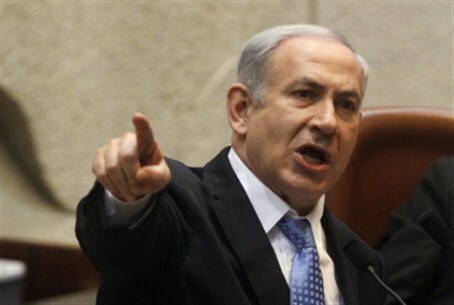 You know that…They want every piece of Israel with all of us floating in the sea. [It is] time to standup and show them who is boss. “Trusting you will do the right thing and clean up Gaza.